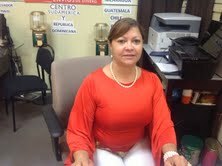 Elizabeth Mosquero- Solavel - Booth # 14-B- "The Sunshine International Flea Market has been a wonderful place for my company. I have Solavei , a mobile service business $49 with free unlimited voice text, as well as plenitude protection for your loved ones as well s yourself. Furthermore there are thousands of people who come to the Sunshine Flea Market every single day. Over 5000 on weekends alone. The rent is cheap, therefore you won't go broke in this place even if you try! No matter the product or the service. I have personally have seen my business expand in a hundred different ways, so if you want your business to grow come on down to The Sunshine Flea Market and be my neighbor! Pineapple Trail-booth 14-B...looking forward to meeting you! 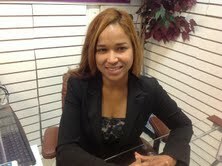 Free SIM card with purchase of service if you mention this article." 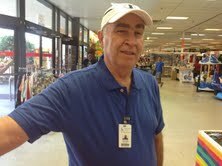 Gonzalo Duenas- Florida Career College- "I have been in the Sunshine Flea Market for over a year now. I am a very successful Vendor in this Market. I feel very optimistic about my business because we offer the link to a better life to our customers through a good education. We will always find the road to work in a good manner being part of a good team in our school and being right here in the Sunshine Flea Market. I would recommend that anyone who would like to start a business that the Sunshine Flea Market should be the first place you should look." "Hi...My name is Hypatia Read, I have a Booth at The Sunshine Flea Market, I have been here for over a year so far and my experience is very positive, not only because The Sunshine Flea Market is in a great location but because the staff members are very professional and helpful, I think that is the reason I'm here and growing my business since day 1. Translations...notorizations, immigration, naturalization, money transfer and airline tickets, also I do income tax and amendnens....And yes I sell the "Florida Lottery" and Florida "Scratch off". So come here!..I invite you or anyone that would like to start you own business here at The Sunshine Flea Market and I am sure you will be as successful as I am."